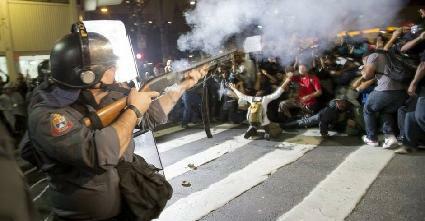 Governors of São Paulo, Rio de Janeiro, and many other cities cut transport fares but the struggle must continue. 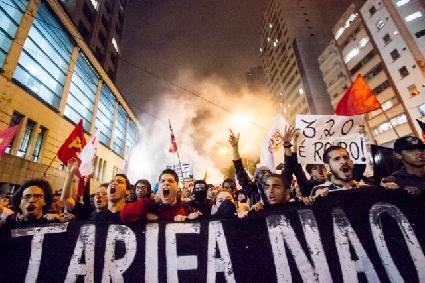 Following the tsunami of mass struggles during recent days, the state government of São Paulo, the prefects of São Paulo and Rio de Janeiro, the two largest cities in Brazil, along with dozens of state capitals and cities throughout the country, have decided to reduce transport fares. 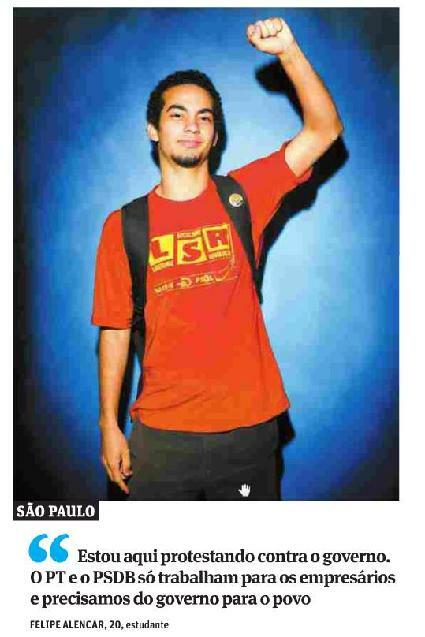 The reduction in fares, by twenty centavos in the case of São Paulo, in so many cities, represents the most significant victory for the mass struggle after suffering almost twenty years of a neo-liberal offensive by the ruling class against the workers and the people. Intransigent, authoritarian and repressive state governments have been compelled to do an about turn in the face of two weeks of intense mass mobilisations, which have swept through the entire country. On 17 June more than 300,000 people took to the streets in various cities. 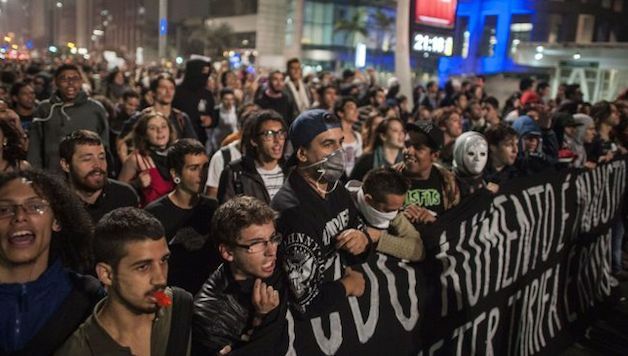 Almost 200,000 marched in São Paulo and Rio – the highest concentration of the mobilisations. In Brasilia, the Congress was occupied, as was the city Hall in São Paulo. 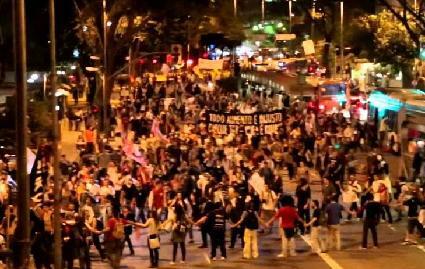 In São Paulo protests paralysed the main highways and marched to Ponte Estaiada, a monument to rich property speculators. Following brutal police repression the preceding week, which triggered even bigger protests, on the 17th June the state governor decided against further repression. A further demonstration in São Paulo called the following day, on 18 June, was attended by 80,000 people, which completely took over Praca da Sé Square in the city centre. 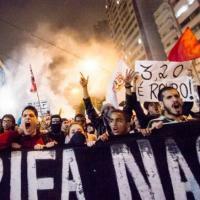 At the same time, protests took place in Avenida Paulista, where disorganised attempts were made to take over the city hall and also the office of the city Prefect. 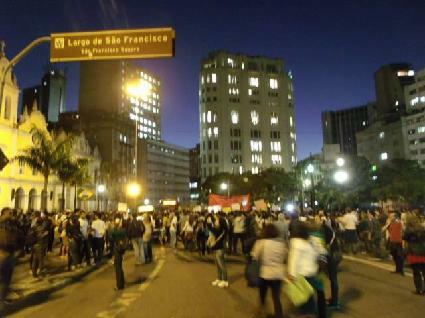 In Rio de Janeiro, on the previous day, the offices of the state Legislative Assembly were taken over for hours by protestors in such a way that it was clearly a genuine popular rebellion. Throughout the following day, on 19 June, radicalised mass protests took place. 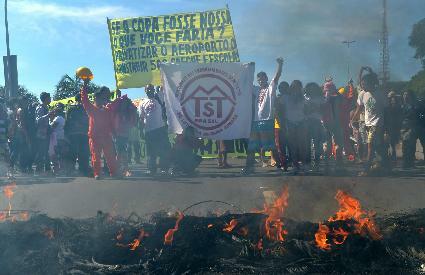 Motorways were blocked and closed, bus station were blockaded and large street marches were held by the MSTS (Movement of Workers Without Roofs) with the active participation of comrades from the LSR (CWI Brazil), in the outskirts of São Paulo. There were indications that the struggle was radicalising and beginning to explode in the poor areas around the city, involving workers, which put added pressure on the government. 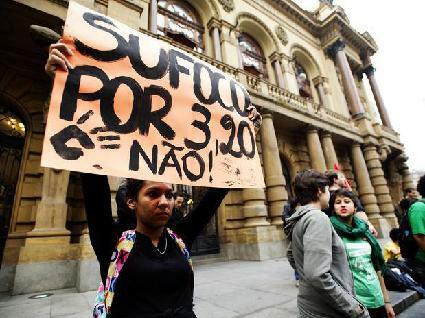 Following the calling of new unified protests, on a national level, on 20 June, the governing authorities in São Paulo and Rio decided to announce a reduction in fares. This arose following major debates and divisions within the governing parties. An emergency meeting was organised involving Lula (Brazil’s ex-President, who officially has no position), President Dilma Rouseff and the Prefect of São Paulo, Fernando Haddad. During this meeting, the Prefectura was surrounded by protesters. The following morning, Haddad declared that a reduction in transport tariffs would be a ‘populist’ position to adopt. His argument however did not last long. At a football match between Mexico and Brazil, in Fortaleza, where the stadium was surrounded by protestors, a press conference was organised by Haddad and the governor of São Paulo, Alkmin, a member of the right-wing PSDB (which is in opposition to the federal government). Haddad and Alkmin announced that a reduction in fares would be implemented.